On this page we list free online Bible Tools and Resources that we have found helpful. They are great tools for use your quiet time meditation, personal bible study and spiritual growth. As we discover new tools we will add to this list. You can help us build this list! Have you found any really helpful tools online? What bible tools have you found on the web that you have found most helpful? Maybe free or maybe not? Come on, what has helped you most in your quiet times or personal study of the Word. Share It! with us and our online visitors. Just follow the link to Share Your Favourite Bible Tool. We all want to know. 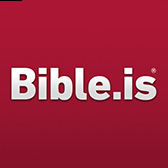 Prefer a FREE access to an online NIV resource, BibleGateway has one I use all the time. For quick reference when reading keep the Bible Gateway quick search window open. It is also a topical reference, bible passage look-up and allows keyword searches in multiple bible versions and languages. No need to buy several bibles for study, you just use the tool. For a more in depth online bible study tool I use the FREE WordSearch Bible Explorer with over 200 bibles, commentaries and dictionaries. A real must have for Bible Study. My preferred bible for my mobile devices. To be honest finding time to spend with God can be challenging at times, life seems just so busy and there is so much to do that 24 hours, well just doesn't seem to cut it. This audible bible allows me to just listen to the scriptures even as I go about my daily chores and travel around. You can listen to a plain audio or a dramatised version. The Word will always penetrate, there is always a verse that pops out and you say "hmmm never looked at it like that before" or even "that's in the Bible!". This is a FREE product - enjoy. This is a FREE bible tool you can download and use to enrich your times with God. It allows us to access many resources bibles, dictionaries, resource books, commentaries etc. e-Sword is a great tool to deliver this to you. This site by Laura & Dean Van Druff presents free Bible Studies on various topics to encourage Christian living, spiritual insight, growth, and faith. Here is an example of one I like - Hearing God. Larry Winebrenner's Home Bible Studies provides studies in the form of a workbook Scripture verses followed by thought provoking questions (yes, the answers are included!). This can be used to aid your quiet times. You can read an interview with Larry -Here! What is your Favorite Bible Tool? We are building a list of really helpful Bible Tools that can enhance you quiet times, personal bible study and spiritual growth. What is the name of your Favourite Bible Tool (e.g. Bible Explorer). Do you have a picture of the tool to add? Great! Click the button and find it on your computer. Then select it. Here are some Bible Tools other Visitors have recommended.